Haul goods on the cargo train. 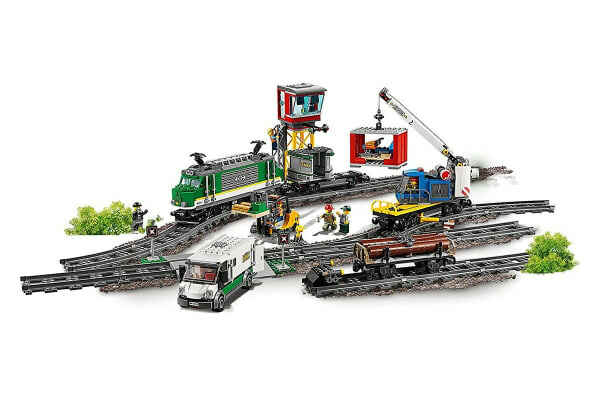 Load up the powerful LEGO City Cargo Train and deliver the goods on time! 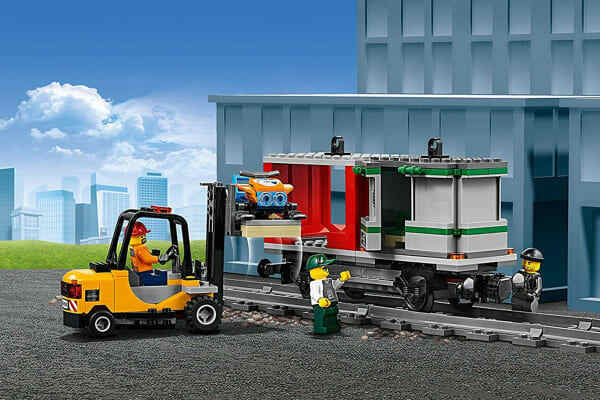 The LEGO City Cargo Train features a motorised engine with 10-speed Bluetooth remote control, pantograph on the opening roof and driver’s cabin with control panel. It comes with a log wagon, crane wagon with rotating and extendable boom arm and a container wagon with 2 containers with hooks on the roof for loading and space for pallets. 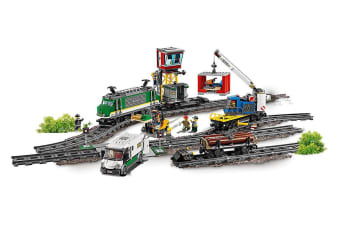 It Includes a control centre with ladder and signal lights, a full circular toy train track with 16 curved rails, 16 straight rails and a railroad switch with lever, a money transport truck with opening doors and a working forklift with opening roll cage. 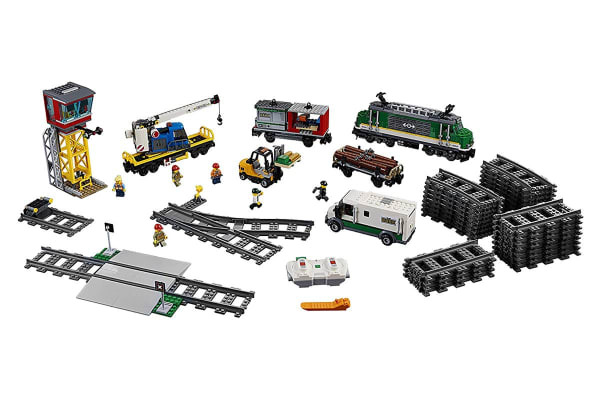 Its accessory elements include a wrench, 12 gold bar elements and 4 money bills, plus 2 buildable pallets, 3 logs and snow scooter.